Refusing to budge on mandatory disclosure of commissions and other agent payouts by mutual funds, regulator SEBI today (May 25, 2016) said it is in favour of a model where investor buys these products directly without any middle men & a new online platform for buying and selling these instruments would be in place very soon. The distributors and financial advisors have been lobbying hard against mandatory disclosure of commissions by fund houses, which have also been asked by the regulator to disclose to investors salaries and other payouts to top management. "We should worry more about the investors than about those doing business of mutual fund distribution. Globally, the mutual fund is moving towards direct buying. Anyway, Independent financial advisers (IFAs) account for less than ten per cent of mutual fund industry's asset under management," SEBI Chairman Mr. U K Sinha said. He said the mutual fund space has been seeing some encouraging trends in recent years and in just 3 years, the AUM has more than doubled to over Rs. 14 lakh crore, whilethe number of folios has crossed 4.8 crore. Besides, the net equity inflows of MFs have gone up sharply at a time when the FPIs exposure to the Indian market shave come down marginally. "Mutual funds are doing very well. Over 90% of schemes have outperformed their benchmark indices over various time periods. Now, SEBI has enhanced the disclosure regime for greater transparency," he said. Asked whether similar disclosure norms should be applied to other financial instruments also including insurance products, Mr. Sinha did not give a direct reply but said product cost is very high in India and there is no reason why investors across all segments should not know these details about their investments. 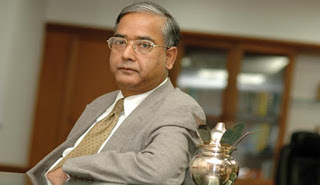 On capping expense ratio in some mutual fund schemes, Mr. Sinha said SEBI was very seriously looking at it. On whether the industry needed consolidation, Sinha said SEBI had no role there as it should be driven by market forces but he personally felt that India did not need 50-odd fund houses where bottom-ten hardly had any business. "Consolidation is required, but SEBI can not do anything about it. It has to be through market forces." He ruled out any re look at commission disclosure norm sand said there are more people doing transactions on e- commerce platforms in India than those transacting in mutual funds. "If people can buy on e - commerce platforms directly, why can not they do the same about mutual funds," he said, while adding that the new framework for providing an online plat form for mutual funds should be put in place soon after the next meeting of Nandan Nilekani committee in this regard on May 30, 2016. "We will make it AADHAR-linked... We want to encourage people to transact directly... We will also look at whether there is need for an entirely new set of online platforms for mutual fund transactions or whether that can be done on existing platforms," he said.